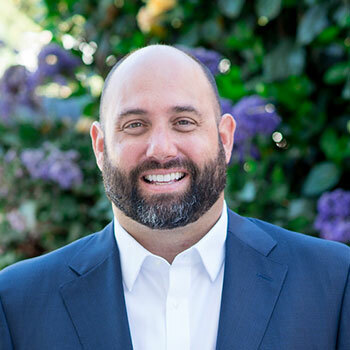 Dan Mills, MD, a board-certified plastic surgeon in Orange County, has announced a new addition to his online patient resources through the launch of a breast surgery-specific website focusing on the available procedures at his practice, including breast augmentation, breast lift, and mommy makeover. The new website features several developments in design and structure, combining social media integration and a redesigned photo gallery with in-depth patient education content. At his Orange County plastic surgery practice, Dr. Daniel Mills has announced the launch of a new website to provide specific, detailed information about his breast surgery procedures. As a subdivision of his parent website, Dr. Mills says the breast-related site offers him the ability to offer more robust patient information about procedures such as breast lift, breast reduction, mommy makeover, and breast augmentation. He says he is excited about the opportunity to enhance his patient care through the inclusion of several key features to the website. Combining interactive tabs and custom content, Dr. Mills’ site features extensive procedure information discussing expectations for breast surgery at his practice, from implant choices to recovery time and description of the surgical procedure. He says the incorporation of video testimonials and a detailed photo gallery offer patients the chance to engage in their education and make an informed decision based on real results about the cosmetic enhancements that will best serve their needs. Dr. Mills’ also says the addition of social media buttons is designed to enhance communication with his patients by providing a consistent, reliable medium for answering preliminary questions and updating patients with the latest news from his practice. Developed in cooperation with San Diego-based medical website design firm Rosemont Media, Dr. Mills crafted the website to enhance his services and provide patients with a more interactive online education. He says patient comfort and satisfaction remain his top priority and he is excited about the chance to give patients a more active role in their plastic surgery experience. Dr. Mills also adds that he hopes the new site will reiterate his dedication to the highest level of patient care and quality, effective results. Dr. Daniel Mills graduated from Walla Walla College with a Bachelor of Arts in Chemistry and received his medical school education from Loma Linda University School of Medicine. He completed both an Internship in General Surgery and a Residency in General Surgery at Wright State University at the Kettering Medical Center. Dr. Mills also completed a Fellowship in Plastic Surgery at Phoenix Plastic Surgery Residency and a Residency in Plastic Surgery at the Medical College of Ohio. He is a board-certified by the American Board of Plastic Surgeons, a Fellow of the American College of Surgeons, and a member of the American Society for Aesthetic Plastic Surgery, the American Society of Plastic Surgeons, the American Society of Maxillofacial Surgeons, and several other professional organizations. Dr. Mills has served as the past President of the California Society of Plastic Surgeons and has published several books and papers on aesthetic enhancement. Located at 31852 Pacific Coast Hwy, Ste. 401 in Laguna Beach, CA, Dr. Mills’ practice can be reached at (949) 681-9956. He can also be contacted online via the website orangecountybreast.com, danmillsmd.com, or facebook.com/danmillsmd.